ALOC provides the full range of treatments for individuals who have suffered debilitating illnesses and injuries. Our commitment to state-of-the-art technology has help us on the forefront of orthotic and prosthetic care. Our services are highly personalized and customized to each patient’s needs. Successful treatment depends on many factors, but an important consideration is the knowledge, skill, and experience of the practitioner and the ongoing relationship that is established with the patient and the rehabilitation team. ALOC employs only American Board for Certification (ABC) certified orthotists and prosthetists. ABC is the national certifying/accrediting body of the orthotic and prosthetic profession. Created in 1948, ABC serves to promote the welfare of the physically challenged by certifying practitioners who have met high educational, ethical and competency standards through university post-graduate degree, practical experience and rigorous written and clinical examination. ALOC orthotists and prosthetists work closely with the physician, physical therapist, occupational therapist, nurse, and family to ensure progress towards recovery and rehabilitation. Through thorough assessment of the patient’s functional status – physical examination, medical history, and rehabilitation goals – the appropriate orthotic and/or prosthetic treatment plan can be derived to achieve the greatest level of mobility, comfort, and function possible. ALOC maintains fully staffed, ABC accredited patient care centers which serve northern Indiana and Southern Michigan. ALOC also evaluates and treats patients in hospitals and other medical facilities, including physicians’ offices. Recognizing the critical nature of some situations, our staff provides 24-hour emergency service to hospitals. We accept private insurance, worker’s compensation, Medicare, Medicaid and are contracted with dozens of insurance networks. Please call or use our email form if you have any questions. Several years ago, we were invited to teach a Physical Therapy class at Andrews University in Berrien Springs, MI. The first half of the course (taught by Steve Prendergast, CO) focuses on general orthotic treatment modalities that Physical Therapist and Orthotists frequently have in common as well as the effect that orthotic devices have on human locomotion (gait). The second half of the semester (taught by Norbert Fliess, CP) is all about teaching the Physical Therapist how to manage their patients with various levels of amputations, their prosthetic devices and how to maximize their efficiency and coordination with their prostheses. There is an emphasis on the team approach and professional relationship building required to insure the highest level of care that orthotic and or prosthetic patients depend on. For us, the experience has been very rewarding. We have the opportunity to work with very intelligent students who accept as well as challenge our knowledge of O&P in a way that refreshes our thought processes and patient / physical therapist interactions. 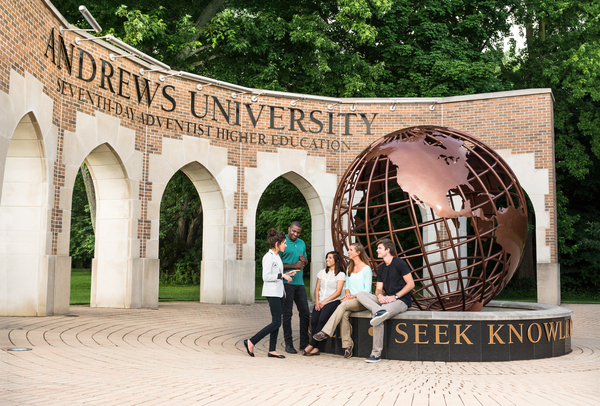 We hope to continue with the Andrews University program for many years to come.